The human eye is a powerful thing, but it's not so great at seeing in the dark or around tight spaces, which is partially why most of us struggle with unplugging drains, cleaning under the fridge, and other hard-to-reach jobs. This 1080p HD Waterproof WiFi Wireless Endoscopic Camera, however, gives you the flexibility necessary to get to where your work is, and it's available in the Boing Boing store for $39.99. Similar to the cameras doctors use to peek inside patients, this device gives you a generous three meters of cable to snake into tight spaces to stream footage straight to your smartphone via WiFi. Its IP68 waterproof rating makes it ideal for working in damp areas like drains, while the eight powerful LEDs let you easily see in dark spaces. 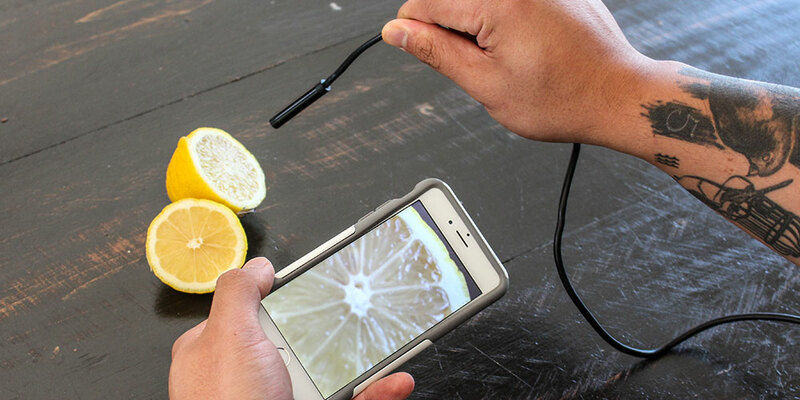 You can start diagnosing problems at the source with this 1080p HD Waterproof WiFi Wireless Endoscopic Camera, available in the Boing Boing store for $39.99.